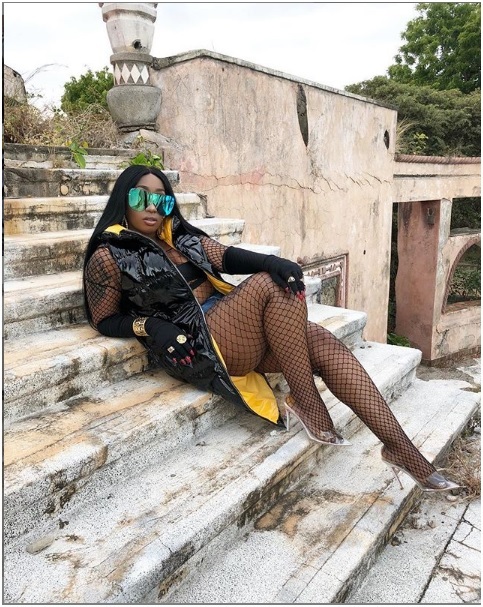 Thursday, February 14, 2019 - Kenyan songstress, Victoria Kimani, keeps horny men busy on her Instagram page where she is fond of flaunting flesh and leaving little to the imagination of the so called Team Mafisi. Victoria is not that much talented in terms of music and that’s why she uses her flesh to capture the male audience. Infact, some people claim she can make a better socialite than a musician but that is a debate for another day. In one of the photos posted on IG, she rocks red lingerie and bites red roses before sending out Valentine shout outs and declaring she is single. For a woman who is in her late thirties, maintaining such a hot body takes effort and we hail her for that. Check out these juicy photos of Victoria.